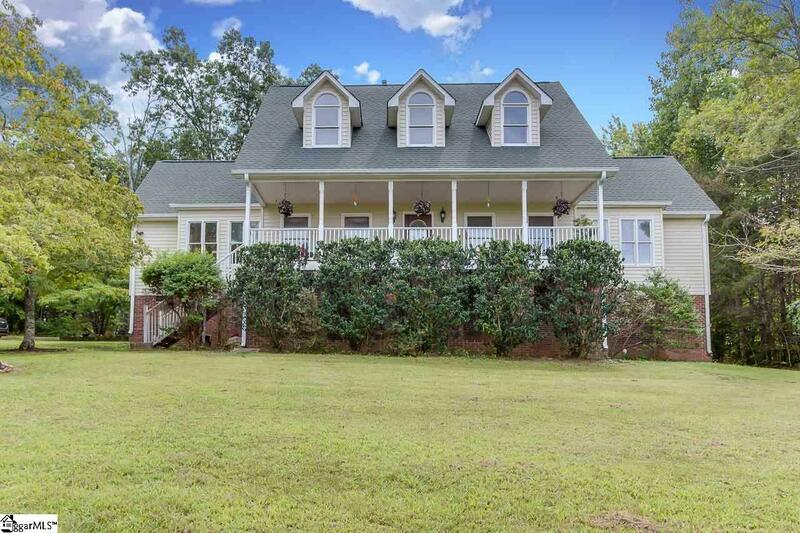 SOUTHERN CHARM WITH FABULOUS VIEWS OF GLASSY MOUNTAIN ON 6 ACRES! Spacious, open floor plan with a grand 2 story foyer and a graceful, curved staircase as you enter this home. Formal dining, living room and large country kitchen, make this a great home for family gatherings and entertaining! 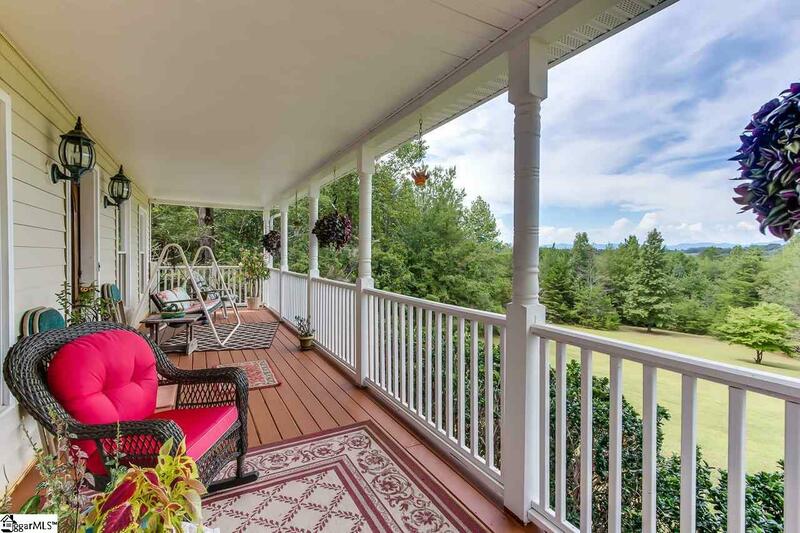 Covered front porch is perfection with the amazing view of Glassy Mountain. 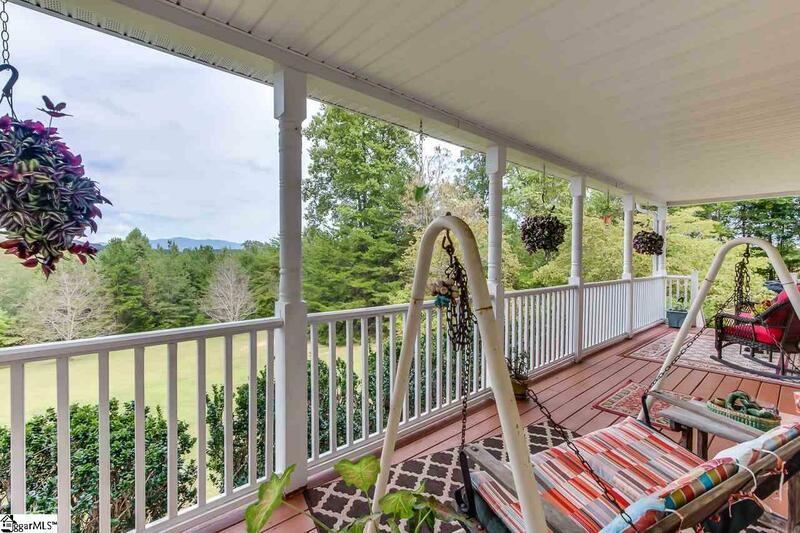 Home includes outdoor space including the deck off the living room, as well as the screened in porch which makes this home a true southern charmer! The living room is grand with cathedral ceilings and windows for lots of natural light. The kitchen is loaded with plenty of cabinets all Rosewood and be sure to check out the extra-large walk in pantry! There is a wonderful breakfast area as well, with a lovely view of Glassy Mountain. Master suite is on the main floor and includes a large on-suite bathroom with a jetted tub and separate shower. There is also a sitting room in the master suite, which could be purposed as an office or exercise room as well, making this a wonderful sanctuary for the homeowner! Walking up the beautiful curved staircase, there are the 2 additional bedrooms, each complete with dormers, as well as walk- in attic space off each room, which can be easily finished for many purposes, and currently provides tremendous storage space! Full bath is on this floor as well and a terrace overlooking the living room. Home has 4 deck/porch areas which include the fabulous covered front porch, screened in area off the living room, 17x11 deck and breezeway from the 2-car garage which has a room above it as well. 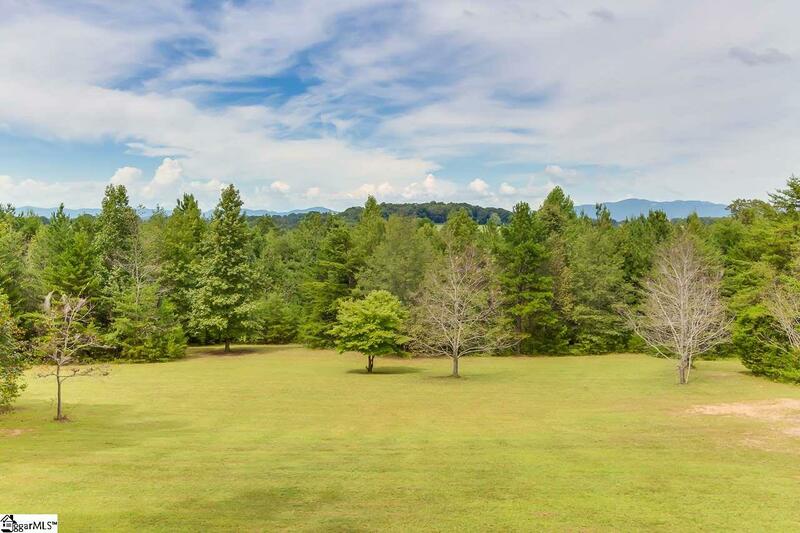 In addition to the 5 acres that the home currently sits on, there is an extra available 2.12 acre tract which could be available for sale separately. With some vision and creativity, this home has the potential to be transformed into the home of your dreams! The possibilities are endless! Call TODAY for your private showing! !